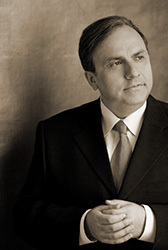 Yefim Bronfman, pianist noble, performed Brahms’ Piano Concerto No. 2 with the San Francisco Symphony, conducted by Michael Tilson Thomas, January 22, 2015. For those who were listening, their hearts could never be the same. The performance was awe inspiring. Mr. Bronfman plays with power and tenderness. Brahms gave him a masterpiece of emotion that waves over all like a force of nature, and Bronfman was the right master to make it real. Much though it captures that inevitability of nature, the wave following the next wave, it is a work of human art. Mr. Bronfman succeeded brilliantly at bringing that force to life bigger than life. It reaches into one and brings back memories and feelings that one was not aware of having. A woman leaving Davies Hall, said to me, “I can’t help it.” She was talking about her tears; she could not help it because why they came was a mystery. It is ravishing music which Mr. Bronfman created in the most immediate, stunning way. Music is a physical thing. It changes the air around us. It takes physical effort to make music. One could see Mr. Bronfman’s left foot beating out a rhythm on the floor, alternating with his right foot on and off the pedal. His touch on the piano is light, and he brings out the lyricism and loveliness of Brahms’ seemingly endless soul of gorgeous melodies. Hats off to Michael Grebanier, Principal ‘Cellist of the SFS, for the beautiful ‘cello solo he played in tandem with the piano. The silken sound of the ‘cello made the audience hold its breath at these amazing musical moments. It was an astonishing performance. The SFS also performed Alban Berg’s Three Pieces for Orchestra. Maestro Tilson Thomas addressed the audience to explain what would happen in the music and put everyone at ease about hearing reputedly difficult music. Seeing Robin Sutherland, SFS Keyboardist, seated at the celesta, one could expect something magical.In fact, it was very magical music with rhythmic inventions and interesting use of stillness. The Three Pieces are Praeludium: Slow; Reigen: A little hesitant at first-Light and winged; Marsch: Moderate march tempo. There are moments when the music is not only light/not heavy but seems to be light/not darkness. It suggests the movement of light as we see it reflected on an insect’s wing or changing the face of water. It races, alters our perceptions, bounces off of surfaces as it changes its meter. The concluding Marsch reveals that this is not coming to a good end. There is a collapse of structure. Berg called for the “large hammer ‘with non-metallic tone. '” It is an ending that brings to an end all the light and lightness that preceded it. This is MIchael Tilson Thomas’ 20th Anniversary as Music Director & Conductor and his 70th birthday. MTT’s gift for the art of program planning as well as bringing out the best of the wonderful SFS musicians is an ongoing celebration. This entry was posted in Hedgehog Highlights and tagged Alban Berg, Brahms, Brahms Piano Concerto No. 2, MIchael Grebanier, Michael Tilson Thomas, Robin Sutherland, San Francisco Symphony, Three Pieces for Orchestra by Alban Berg, Yefim Bronfman on January 24, 2015 by Leslie.